Join the esteemed profession of nursing, serve your community, and secure your future. Stay local for your nursing education with Nightingale’s online classrooms and experiential learning activities. Nationwide, nurses are in high demand. According to the American Association of Colleges of Nursing, there is a projected need for 1.09 million nurses to not only replace retiring nurses but to meet the expected growth in the profession. There is no better time to become a nurse! Want to know more? We invite you to complete the form for details on our programs, courses, and the application, tuition, and financial aid available. The nursing degree programs at Nightingale College are designed to help you stay local to complete your nursing education. 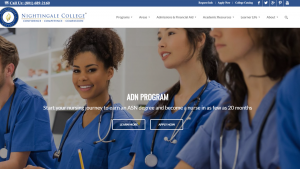 The accredited bachelor’s degree and associate degree combine engaging online classrooms led by BSN- and MSN-prepared nurse faculty, and local, on-ground experiential learning activities to provide hands-on experience. *Earning a nursing degree from Nightingale College does not guarantee employment as a Registered Nurse. Passing the NCLEX-RN® exam and meeting other licensure requirements is necessary for obtaining an RN license. To qualify for the DDC tuition waiver you must be an employee of a DDC partner or referred by an employee of a DDC partner. Please note: RN-to-BSN Program is only for licensed RNs. Please note: "Other" is only for RN-to-BSN Program applicants. All fields are required, we will never share your information with anyone. Discover if Nightingale College is the right fit for you. Nursing school is tough on its own, but choosing the best school can make all the difference in your education. Take some time to peruse our website to see what you can expect as a nursing student at Nightingale College. Our admissions advisors will help answer any questions you have. Commit to becoming a registered nurse. It takes dedication, determination, and perseverance to be a nurse and requires immense support from your family, friends, and employer. 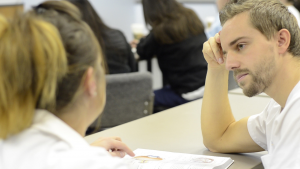 Your employer may offer educational benefits to help you further your nursing education. Visit your employer’s HR department to see if you qualify for possible tuition assistance. Additionally, Nightingale College offers financial aid advisors who can review your personal situation and help you find and apply for tuition assistance. Start the application process. By this stage, you have decided that Nightingale College is the right fit for you and have gotten the necessary information to begin applying. 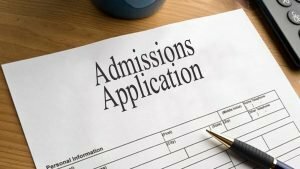 Your admissions advisor will continue to support you throughout the application process to make sure you meet all qualifications and gain access to all the tools and resources that the College offers.